The Vortex V2 kit car was shown off at the Stoneleigh kit car show 2012, and I have to say I did not like it. It’s nothing personal about the car it performs well, and it is obviously from the outset a fantastic track car, but I just don’t like the style of it. However, I was interested to know more about the Vortex after the show, and I did find myself doing a few Google searches, and it might just be growing on me. Anyway, I hope you enjoy my review of the Vortex V2 Kit car, and I would be grateful for your feedback. The Vortex V2 is the second car to be designed by Vortex, and it is a lose play on the Lotus 7 and the Arial Atom, and I am certain that it will perform very well on the track. The major aspects of the Vortex V2 is that its mid engine and where its radiator and intercooler are fed by a full-width air duct underneath the V2, and the fuel tank runs in the middle of the car which gives a very nice balance of weight distribution. The V2 is powered by the Ford’s Duratec ecoboost turbo engine that is producing a very tasty 280 bhp. 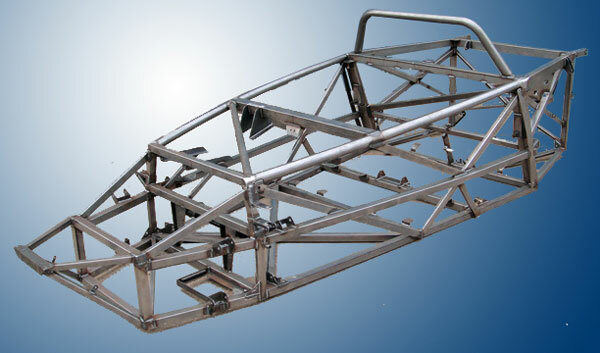 The chassis of the Vortex V2 has conventional wishbones at the front, and the Vortex front uprights are self-made by Vortex, and they are aluminium cast, and then heat treated and then x-rayed. So you can take a guess that everything on the Vortex has been thought about and got a purpose. You can get the Vortex V2 Kit car in either left hand drive or right-hand drive and all for a very nice price of just shy of £ 10,000, which is not too bad really considering what you are getting. The V2 has a very odd looking front end, but as I first thought it must have a purpose, and it does. It is there to direct the cold air to the underneath of the car to enhance cooling but to also improve aerodynamics. There are lots of options available for the Vortex V2 but because the Vortex V2 I saw at the Stoneleigh kit car show was the prototype and there are plans to create a lighter model that will be a complete track beast. It’s very clear, that although I don’t like the style, I can see why it was designed the way it was, and that it is there for pure driving experience. I will be very interested to see how the V2 takes off, and over the coming years. How many will be made road legal and how popular they are at the shows. If you would like more information on the Vortex V2, then you need to head over to their company website www.vortex-auto.com and on there you can see all of the stats and information. If you own one of these kit cars, I would be very interested in hearing your thoughts about them.